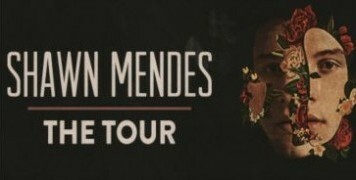 Package Shawn Mendes Sao Paulo - 30/11/2019 – A AMPLITUR . 5262 people have viewed this package. "Shawn Mendes: The Tour": The new tour of the Canadian singer, based on the repertoire of the third album, had its information divulged. It will debut in March 2019 and the musician performs in São Paulo in November. In his career, the 20-year-old already collects some hits, such as In My Blood and There's Nothing Holdin 'Me Back, and expressive numbers: on his YouTube channel, there are already nearly 6 billion views. The pop artist is on his third world tour. Hotel / show / hotel transfer available as an additional / optional only for the Hotel Del Rey option.